Greenville Sometimes you wonder why former Goldman Sachs and banking executives flock to political jobs like running the Treasury Department or the Office of the Comptroller of the Currency, but then you realize the facts. It’s about score-settling or figuring out how they and their buddies can make more money in banking now and in the future. The backstory on the current push to rewrite the rules on the more than forty years of the Community Reinvestment Act or CRA that mandated fair banking and the end of redlining to force banks to invest in lower income and minority neighborhoods is full of just such conflicts of interest and self-dealing. As the Treasury Department and the OCC propose to rewrite and dilute CRA rules the Wall Street Journal reports that the issue is messier. Steven Mnuchin was bottom fishing after he left Goldman Sachs as an investment banker and flirted with financing in Hollywood. He had assembled a group to pay $1.5 billing to buy IndyMac from the FDIC after the highflying, lowballing mortgage chop shop suffered a run forcing the FDIC as the deposit insurer to take over. Mnuchin hoped to paint lipstick on the pig, resell it or take it public for a killing with his buddies. 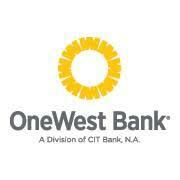 One of his buddies was Joseph Otting who he recruited to run OneWest, the name of the newly whitewashed bank. This was all capitalism at the roulette wheel. Mnuchin and Otting got an offer to sell to CIT Group for $3.4 billion that would allow the investors to turn a profit of over $3 billion in 2014 after only six years. Cha-ching, here come the filthy rich, isn’t greed great. Yes, until they realized there were rules and regulations in the new west of OneWest. They still had a portfolio of the stinking mortgages that had given them the bank in a fire sale in the first place, meaning that they had CRA obligations. Any time a sale of this kind happens over the 40-year period CRA as ACORN and any organization – or bank – worth its salt knows, that opens the window for Federal Reserve and other reviews of the banks lending practices. More than just some bad mortgages were stinking up their California lending experience in their get-rich-quick scheme and several organizations including the California Reinvestment Coalition and the Greenlining group filed challenges to their lending record. None of this is new. Groups including ACORN and scores of others have followed the rules and negotiated agreements for bank lending that has now surpassed a trillion dollars in low income neighborhoods. The new west robber baron wannabes, Mnuchin and Otting were offended that they were challenged. They tried to buy the groups off, but the groups had clear demands. Mnuchin and Otting were offended at the impunity of community groups thinking that they had the right to negotiate for loan equity in the community. Eventually they pledged $5 billion in loans to the community, which was less than the demands, but miles more than they intended. CRA has benefited millions of people who were able to buy homes. Mnuchin and Otting had their feelings hurt and their entitlements challenged. Now Mnuchin is Secretary of the Treasury and Otting is Comptroller of the Currency. They vowed to get even, and their revenge will be diluting CRA and preventing millions from owning homes in the future because of the act’s guarantee of fair banking and procedures that assured it. If that doesn’t sound like a pile of hooey, I’m not sure does. Mobile technologies? Trust me on this, there is nothing in the CRA that addresses what platform might be used to facilitate equal lending without discrimination on race, ethnicity or income bias, it just says you can’t do it, and if the Federal Reserve or if any of the regulatory agencies charged with policing the CRA catch you, then there’s trouble coming. Reading Nichols’ statement Jane Citizen would think that the law in 1977 mandated that you had to be sitting on a leather chair in a branch bank – remember there used to be lots and lots of branch banks in the 70s – but that’s not the case. So, much for the innovations point, and I can’t imagine what the ABA thinks is holding back investments “in communities the law is intended to serve” other than more conservative restrictions many banks imposed to punish our communities after their reckless greed imploded the real estate market, coming to a head in 2008. The CRA is more than 40 years old and bankers and their political friends in Congress have been steadily pulling its teeth throughout that period. The supposed “burden” of CRA is having to keep the records, which they do anyway for their own internal purposes, and, worse for them, transparently reporting the data on borrowers. Then it is reviewed and compared locally, regionally, and nationally and discrimination is more easily determined by regulators, if they are interested, and they are graded so that consumers know where they are least likely to face discrimination when they apply for a loan. How hard is that? The rub for the bankers is that they are supervised, and when the regulators step up and do their job, there can be penalties. Others want special breaks for so-called community banks to allow them to discriminate more broadly, but lord knows why anyone thinks that would be a good idea? The Office of the Comptroller of the Currency (OCC) has now put the process of rewriting or revising the CRA in motion by asking for public comment over the next 75 days. The Federal Deposit Insurance Commission and the Federal Reserve also have critical roles in supervising banks and CRA implementation. Some published reports indicate that there is less than total consensus between OCC, FDIC, and the Federal Reserve on this process, which, thankfully, has been slowing this gutting job to date. Our best hope now is that if they stumble long enough and control of Congress changes, community organizations, advocates, and anyone who is committed to a more equitable America may once again prevail in saving not only the letter of the Community Reinvestment Act, but it’s spirit as well.